As many of you may have noticed, Mother Nature has not quite made up her mind as to whether she wants to continue the blustery saga that characterized winter 2017-2018 or allow us the pleasure of an actual spring. 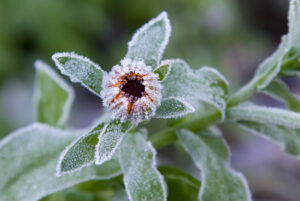 As a result, we along with the plants in our gardens are frustrated and not quite sure how to dress and how to react. 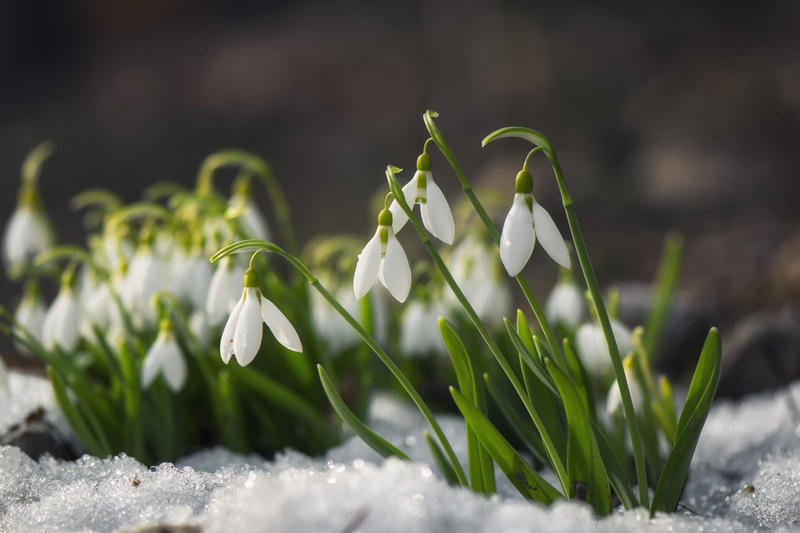 With colder temperatures, random snow showers, and blustery winds, expect the signs of spring and plant emergence from trees to perennials to annual flowers to be arriving later than usual. Although difficult, we will need to be patient with plants this year and give them time to react to warmer temperatures and weather that is more consistent. One easy way to help determine if plants are simply slow to emerge or dead are a simple scratch test. Using a small knife or even your fingernail, scratch the bark to reveal the internal stem. If green, the plant remains viable; if brown, this portion of the plant may have died back. The important thing to do is to make sure you test numerous branches in the plant in various locations. This will give you an overall sense, as it is normal for plants to have some dieback here and there. The scratch test may reveal that only the upper portion of the plant is damaged and the internal portion is viable. For this situation, a light pruning will help to promote rejuvenation. In addition to an overall delay, the highs and lows of this winter were especially hard on broadleaf evergreens (any plant that maintains its leaf in the winter that does not fall into the conifer category). Many plants, including Nandina, Laurel, Azalea, Boxwood, etc.. , subjected to the constant undulation in temperatures, freeze/thaw cycle and harsh winds, are showing signs of winter burn and or defoliation. You may notice this as some of the plants have brown and rust color areas with plants appearing like they have been singed in a fire. Essentially, the plant is showing damage from dehydrated plant cells. Unfortunately, there is very little can do to treat winter burn. Recommendations will depend on the severity of the burn. For mild burn, proper feeding (fertilizing) and watering will help. The reality of winter burn is that patience comes into play again. Waiting to see if the plant pushes new buds and seeing how the plant regenerates is the ultimate answer. Unfortunately, successful rejuvenation can sometimes take an entire season if not more. At this point, it may be more beneficial to remove the plant and consider replacement. Proper planning is key for winter burn protection; the installation of wind breaks, burlap, or application with anti-desiccants prior to winter can help. Unfortunately, these methods are not the end all, depending on how Mother Nature is feeling. So a little patience, TLC and fortitude will be needed heading into this growing season. If you have questions, DiSabatino Landscaping has answers. Call us to assess your plantings – we can help identify what ones to nurture and which ones need replaced. Posted in landscaping tips, new landscape, plant health, pruning, spring landscape tips, Uncategorized and tagged Late Spring and Plant Health, Side Effects of a Late Spring on Your Plantings, Spring Pruning on April 17, 2018 by Denise Bernstein.